We are a family run dog walking and sitting pet service covering Thrapston and surrounding areas. All work is carried out by myself and my family. Whether you are looking for an occasional dog walker or someone to look after your furry friend while you are away, we will be pleased to help. 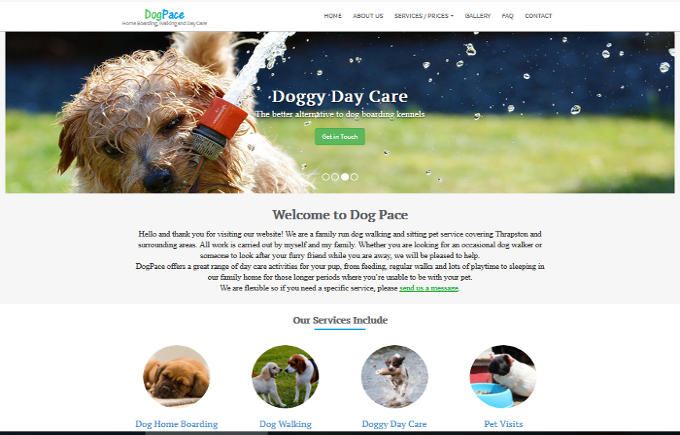 DogPace offers a great range of day care activities for your pup, from feeding, regular walks and lots of playtime to sleeping in our family home for those longer periods where you’re unable to be with your pet.